Space Lighting was proud to provide outdoor lighting through Fauxcades at Dallas Aurora Prelude 2016 located at the AT&T Performing Arts Center. 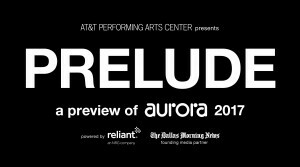 The new event provides a welcome addition between the biennial Dallas Aurora festivals. While providing light using three of our Airstar Crystals, the attached graphics marked key areas of the outdoor event. Ten public art installations consisting of light, video, and sound covered the Arts District for two days over the weekend. University of North Texas Assistant Professor Alicia Eggert had a featured installation. In addition, other visual artists included Safwat Saleem, Antonin Fourneau, Shilpa Gupta, Quayola, Herman Kolgen, teamVOID, Tramaine Townsend, and Ujoo+Limheeyoung. Dallas Aurora will return to the AT&T Performing Arts District in the fall of 2017.